The Silicon Slopes company looks to go its own way. It’s an old term used by computer engineers who were often called upon to explain why their networks went down. Instead of network engineers, the term is now more often used by security specialists looking to shield themselves from scrutiny after a cyber breach. “That wasn’t my fault,” they often say. If only there were a way to avoid these kinds of accusations, recriminations or denials. Well, actually there is, at least as far as Ivanti is concerned. Ivanti is a South Jordan, Utah, company that develops solutions for security, IT asset management and more. While it competes with the likes of ServiceNow, Microsoft, Symantec and others, it believes it is trying to solve a problem that no one else is addressing. That’s how to help IT departments better manage end users and secure them at the same time. 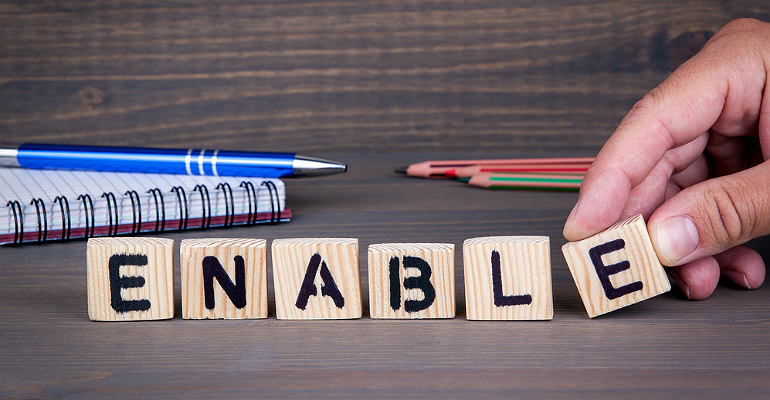 Put simply, Ivanti wants to be known as the unified IT company that can help organizations discover issues, provide insights and take action when issues arise. After hearing about Ivanti from partners, I paid a visit to the company, which is headquartered in the heart of Utah’s rapidly growing “Silicon Slopes” tech community. Today, the company’s broad portfolio spans everything from systems management to service management, identity automation, unified endpoint management and more. With Ivanti technology, an administrator can determine who is on a network, what software they have on their device, and when an application was last used. Ivanti software can even be used to remove an under-used app from a device and put it back into a license pool so that another worker can use it legally. To make all this work seamlessly, Ivanti has to integrate a lot of different software components. It also has to coordinate different processes, initiatives and personnel that it has collected over the years. Then there’s the company’s partner strategy. “Part of our challenge has been to bring different partners together and rationalize different programs. It’s also been trying to get partners to sell a broader portion of our portfolio,” says Morton. While the company has always sold through partners, Morton believes that Ivanti has never been more supportive of the channel than today. Numbers back what he says. Today, for example, the company does more than 90 percent of its business through 500 partners worldwide. A sizable chunk of the company’s business is done through what Ivanti calls expert solution providers (ESPs). Today, Ivanti has more than 300 active ESP partners, which is more than double the number it had just three years ago, says Reza Parsia, vice president of channel sales at the company. In addition to these partners, Ivanti also does business with what it calls national sales providers (NSPs). This includes companies such as CDW, Insight and SHI. While these companies have carried Ivanti’s products for years, they have not imposed Ivanti quotas on their salespeople until recently, says Parsia. Another positive development, Parsia adds, is the number of local Ivanti partners that have paired with the company’s NSPs to offer better prices and service to customers. “That’s a winning formula,” Parsia adds. To make further gains, Parsia knows Ivanti must offer better enablement to partners, many of whom come to it via the acquisitions of AppSense, RES, Concorde and others. Today, only half of Ivanti’s partners offer all of the company’s solutions to their customers. To increase that figure, Ivanti has consolidated its partner programs into a single program, and invested more into pre-sales, sales and post-sales support. It has also worked to get closer to its four distributors in North America, including Ingram Micro and Tech Data, Carahsoft and immix Group.